The Regal 3 Column steel radiator offers excellent performance and exudes traditional style. Manufactured in Italy, its robust design adds character to any room and makes a great decorative alternative to the standard panel radiator. The Regal 3 Column radiator is three columns deep and comes in a range of heat outputs suitable for small and larger rooms. Browse the range at PlumbNation to discover the ideal size to suit your available space. 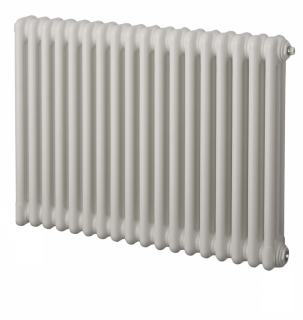 Enjoy a 10 year warranty on all Regal Column radiators. Please Note; Feet sold separately, contact our dedicated Sales Team for further details.